It was December 1982 in Johannesburg South Africa, when we met. 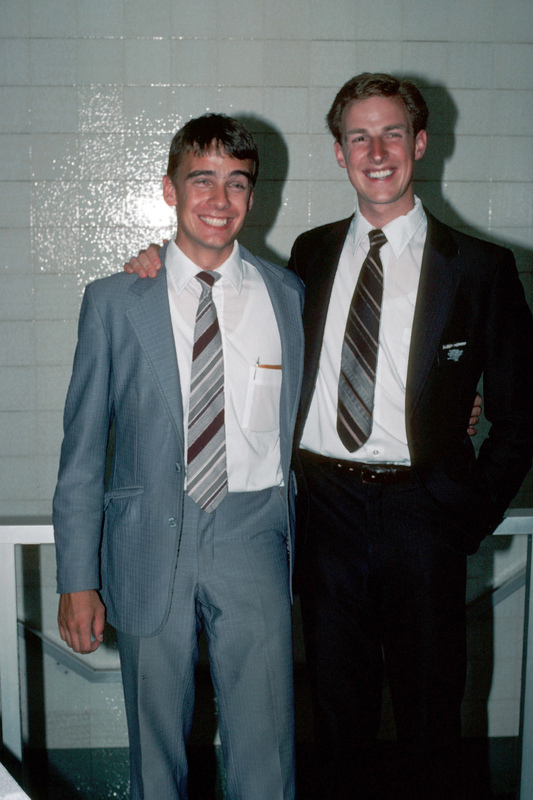 We were a District of LDS Missionaries having the time of our lives. 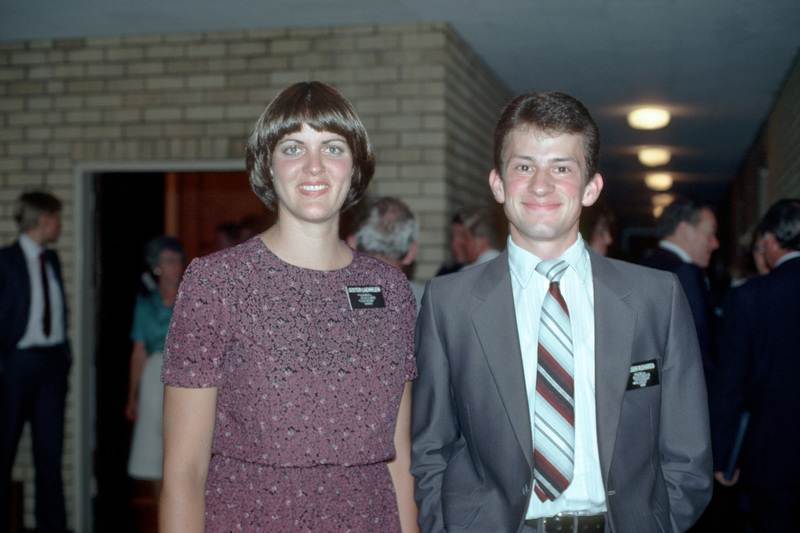 We were 4 Elders: Richards & Solomon, Horman & Ellis, 2 Sisters: Laemmlen & Parks, and one couple, the Waldrons. We were in Roosevelt Park, JHB having experiences that brought us together in wonderful ways. Sister Parks and I were teaching many wonderful people, including Alan and Leigh Chazen. We watched lives change as we cheered each other on. Alan and Leigh were baptized on December 26th. The 4 Elders performed the ordinances. These friendships are eternal. 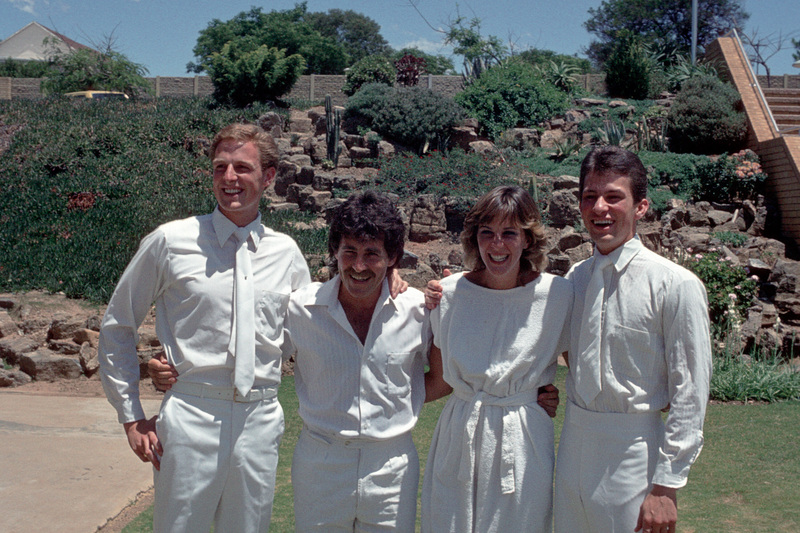 Pictured above: Alan & Leigh Chazen, Elder Ellis, The Waldrons, Elder Horman, Elder Reeder, Sis. Klokow, Elder Solomon, Elder Richards and ?. 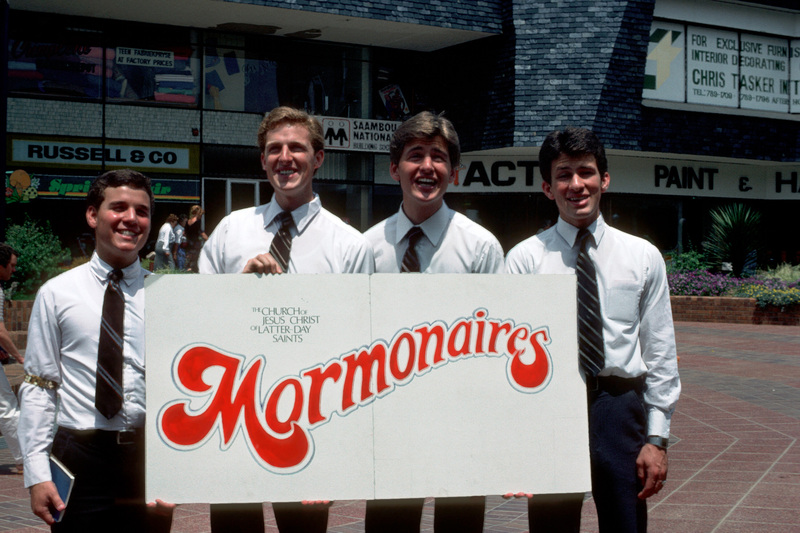 Pictured below: Elder Richards, Solomon, Horman and Cathcart (before Ellis joined us). We’ve kept in touch over the years, as we’ve watched our families grow. We all have missionaries of our own now. When Alan comes to visit we gather to remember the great times we had together many years ago. 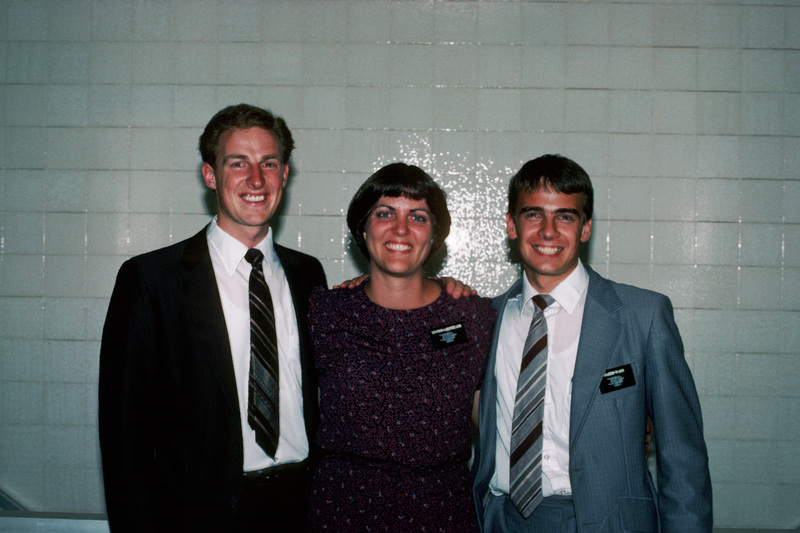 These 4 missionaries were a traveling missionary quartet. They made beautiful music together. Last Friday morning we lost our tenor, Paul Ellis. He died suddenly and unexpectedly of a pulmonary embolism. Today was his funeral. We came together today to remember and honor him. Alan Chazen is on the left, here from South Africa, then Solomon, Richards and Horman, their voices blending perfectly, minus one excellent tenor. Here we are afterwards with Paul’s dear wife, Amy in the middle. What an amazing gift to be with such dear friends. I love them with all my heart. Above: Verl and Joan Waldron, Jay Richards, Sis. Keys, Christensen, Ohwiler, Parks, ? 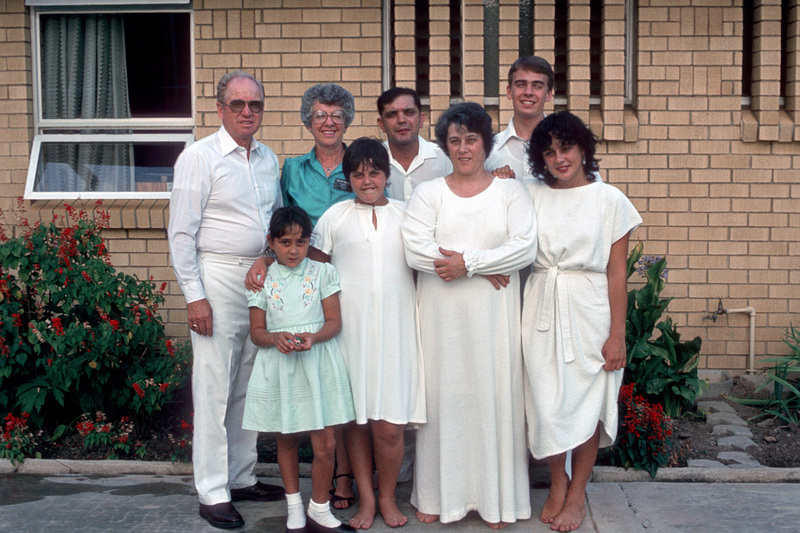 Below: The Waldrons, Elder Paul Ellis and a family they taught. Ann! Thank you! My pictures of this day were lost in a package I sent home slow boat and I never saw them again. What a treasure to see these images and these people again! Ann, Thanks for sharing this link with me. You met my daughter, Chelsey recently. These pictures brought back many memories of the great elders and sisters serving in South Africa. My siblings and I and our spouses are planning a trip to South Africa the fall of 2015. Thank you Ann! Your commitment has once more blessed our lives…how very poignant to compare the photos from 1982 and 2014. We love Paul as we do all ‘our missionaries’ from that time.